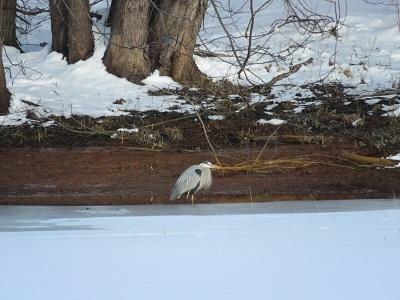 Welcome to the 6th season of weekly bird reports for the Brainerd Lakes Area. 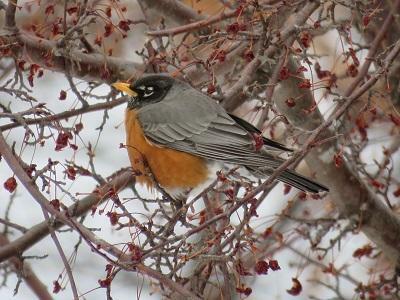 The weekly birding report for the Brainerd Lakes area is provided in partnership with Visit Brainerd and local guide Judd Brink owner and birding guide of birdminnesota.com. With the below normal temperatures, the overnight lows in the single digits and the snow cover is keeping many birds south for now. Purple Finch, American Goldfinch, Northern Shrike, Bald Eagle, American Kestrel, Rough-legged Hawk, Sandhill Crane, Turkey Vulture, Red-winged Blackbird, Horned Lark, Red-tailed Hawk, Trumpeter Swan, Canada Goose, Common Goldeneye, Ring-neck Duck, Hooded Merganser, Great Blue Heron, Great Egret, American Robin, Common Redpolls, Raven and Common Merganser. Waterfowl can be found along most portions of the Mississippi River. Thanks for following the reports watch for next weeks bird report and my guiding adventures. Just found out about a new loon camera here in the Brainerd Lakes Area and will share the link when its available. Happy Birding! Check out this link to see the Barred Owl "live" bird cam! 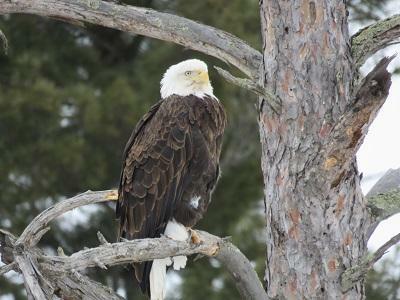 Here is the popular link to check on the Decorah Iowa Eagle camera! Please report any unusual birds to Judd Brink. Please include a photo and or a brief description in the email if possible. Are you curious to know where our state bird the Common Loon is right now as it migrates each spring back to Minnesota? From a recent study you can track the migration of loons from a few years ago by clicking here.